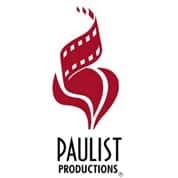 Paulist Productions is an Emmy Award-winning creator of films and television programs that uncover God’s presence in the contemporary human experience. The firm’s work challenges viewers to love others and to liberate one another from all that is dehumanizing. Is old-fashioned “dating” a lost art for today’s young singles? Will “dinner and a movie” soon be a remnant of a bygone era? Those questions are posed in “The Dating Project,” a new documentary film that will be presented this fall by Paulist Productions in association with Mpower Pictures. The film follows five single people trying to figure out dating in the age of social media, texting, hanging out and hooking up. “I don’t really think anyone knows how to ‘date.’ Like, it’s not a skill that our generation really has,” one young woman says in the film. The documentary features Professor Kerry Cronin of Boston College, who has promoted the concept of “traditional dating” in her classes. “About eight or nine yeas ago, I realized that students weren’t dating and I sort of was finding out things about hookup culture. And I thought well, ‘This is crazy.’ So, I started asking students to go on what I refer to as ‘traditional dates. '” said Cronin. Chris, one of the five singles profiled in the film, believes there is a “ridiculous amount” of pressure on people when it comes to finding a mate. “‘Mr. Close-Enough’ is out there. ‘Mr. Perfect’? He’s nowhere to be found,” he said of the expectations of many. This fall, “The Dating Project” may be seen theaters in special one-night engagements, and hopefully will be screened on many college campuses, said Chris Donahue, Paulist Productions president. Paulist Fr. Elwood “Bud” Keiser (1929 – 2000) founded Paulist Productions in the 1960s. It has won five Emmy Awards, the Humanitas Award, the Christopher Award and five Gabriel Awards. Notable productions include the theatrical releases “Romero,” starring Raul Julia; “Entertaining Angels: The Dorothy Day Story,” starring Moira Kelly and Martin Sheen; and the made-for-TV movies “Judas” and “The Lost Valentine” starring Betty White. “Insight” was Paulist Productions’ landmark anthology television series that aired nationally in syndication from 1960 to 1983. Called the “experimental theater of Hollywood television,” it was created, produced and hosted by Fr. Kieser and featured the work of Hollywood artists such as Martin Sheen, William Shatner, Jack Klugman, Rod Serling, Ida Lupino, Bob Newhart, Patty Duke, Carol Burnett, William Peter Blatty and Michael Crichton. Fr. Kieser was interviewed in 1999 for PBS’s “Religion & Ethics Newsweekly” about Hollywood’s responsibility for violence in society. “The ultimate responsibility is with the people buying those tickets and with the parents of the kids who are given the money to buy those tickets,” he said. Read a transcript of the interview on pbs.org.